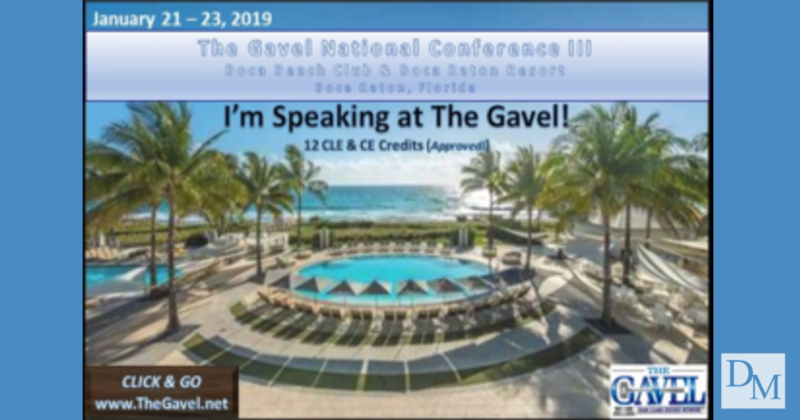 DunbarMonroe, PLLC is pleased to announce David C. Dunbar and Clark Monroe will be speaking at The Gavel National Conference III. Mr. Dunbar will be discussing the Effective Utilization of Rule 12(c) of the Federal Rules of Civil Procedure at the start of your case to aid in narrowing the plaintiff’s claims and discovery. Strategic use of early motion practice through Rule 12(c) can eliminate expensive discovery, limit the scope of damages, and narrow the case to its core issues. This will be Clark Monroe’s second year to speak at The Gavel. He will be presenting on how to Navigate Excess Exposure Claims. Attendees will learn to identify excess claims, preventative measures to use once identified, duties to the insured, and spotting conflicts with the insured. Both of these events have been approved for CE and CLE credits.